If you’re like most, you probably dread the daily chore of making your bed. In your defense, your unwillingness is not without justification. It’s early in the morning, you had a late night preparing for your big presentation, and breakfast is usually a quick bowl of frosted flakes which you devour as quick as possible so you can get on the road and start your day. Making your bed is the last thing you want to waste your time doing. Fine. But know this, there are several benefits to making your bed in the morning which we will look at in more detail. 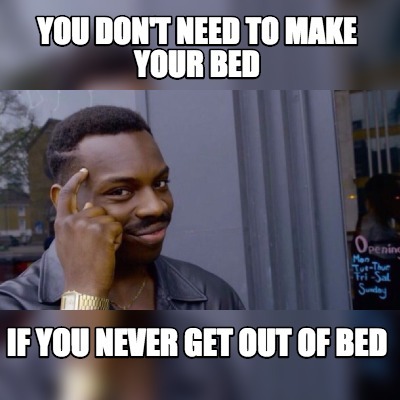 So make sure to give yourself an extra few minutes each morning cause those comfy bamboo sheets won’t make themselves. You know that feeling of being productive and getting things done? Feels good right? Making your bed in the morning is one of the very first tasks you face in your day. Accomplishing that task provides a sense of accomplishment and gives you some momentum to accomplish more throughout the day. It’s simple, getting this small task done will give you the courage and confidence to do more! Just ask U.S. Navy Adm. William H. McRaven. Habits are hard to break, right? Perhaps this is true for bad habits more than good habits. Regardless, a habit creates a sense of repetition and and rhythm. Performing one good habit often leads to the development of other good habits, according to Charles Duhigg in his book The Power of Habit. “Making your bed every morning is correlated with better productivity, a greater-sense of wellbeing, and stronger skills at sticking with a budget” he goes on to say. These initial shifts start chain reactions that help other good habits take hold. 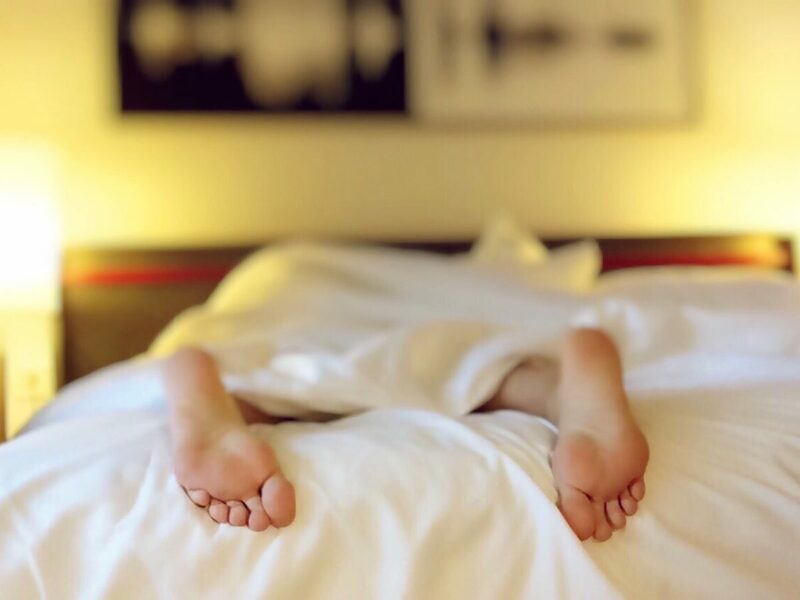 A poll from the National Sleep Foundation found that people who reported making their beds also reported better overall sleep. Think about it. Getting into a nicely made bed with the sheets evenly covering the entire mattress is much more pleasant than getting into a messy, unorganized bed. Take it a step further and tuck in the sheets on the side and you’ll be getting into a nice tight bed at night. Just feel the sheets hugging you as you dose into a deep slumber. The aesthetics of a messy bed are just unpleasant. The last thing you want is your guests to walk by your room and peer in to see an undone bed. 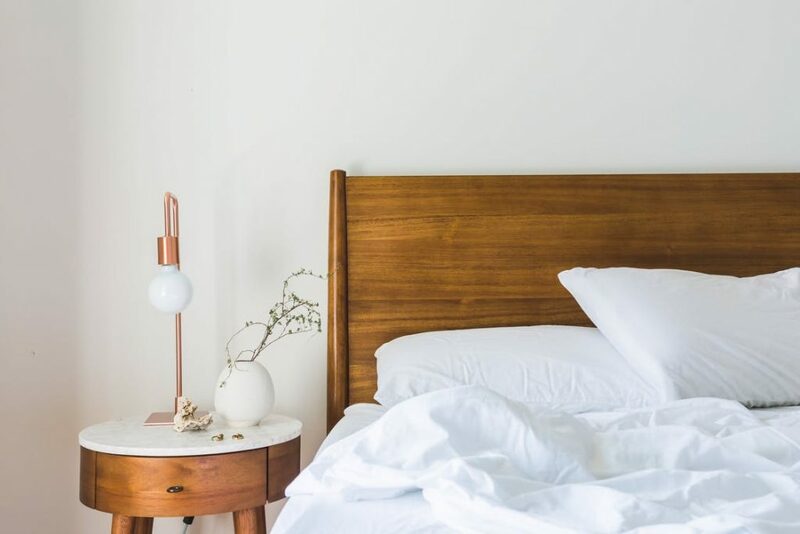 Even if you have dirty clothes on the floor and clutter in the corners, a bed is the focal point of any bedroom, having it tidy goes a long way in making the room look cleaner. You spend roughly a third of your day sleeping in your bed. Depending on your routine, you spend another couple of hours in your room on a daily basis.The bedroom is an essential part of your house! Do you really want to spend that time staring at a messy bed? It stays in the back of your mind, knowing that there’s an unfinished task bearing down on you. This makes it hard to feel calm, relaxed, and grounded when you’re surrounded by disorganization. Making your bed cures that sense of uneasiness, pulls your room together and creates a subtle vibe of tranquility and competence. This trick won’t cure all your stress, but it certainly helps. Try it for yourself. If you’re someone that rarely makes their bed or only does so occasionally (maybe when special guests are coming over) change things up. Get in the habit of making your bed on a regular basis and see how it affects your lifestyle. It’s a small task that can lead to big changes. PS. We sell luxurious bamboo bed sheets! That’s right, Bamboo is the raw material, a sustainable plant that can surprisingly be woven into an extremely comfortable, silky linen. Give them a try! We offer free shipping on all orders. We guarantee you’ll question how you ever slept without them!